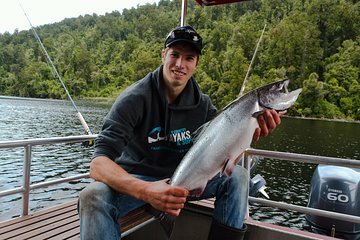 Fish for brown trout and salmon at Lake Mapourika and benefit from the expertise of a local skipper. You’ll get comfortable on this fishing charter that features an indoor cabin and plenty of outside seating for all weather conditions. Fishing equipment is provided, and staff can help you purchase a fishing license.